Clark Kent has lived a peculiar life. His superhuman strength has attracted the attention and fear of his neighbors and peers. 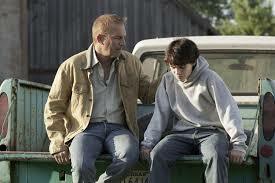 His father, Jonathan Kent, encourages him to keep his powers hidden for fear that others will not understand him; Clark tries to make sense of his unique traits. Eventually, he learns that he is stronger than humanly possible because he is not human; he was sent to Earth as an infant from the planet, Krypton. Now, thirty-three years later, enemies from Krypton have come to Earth to extract their revenge on Clark’s family and to transform Earth from a human to a Kryptonian planet. 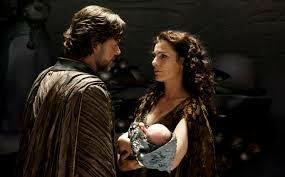 Jor-El and Lara’s decision to send their son to Earth is depicted as a true act of sacrificial love. They are not coerced into their decision by anything other than their honest (and accurate) assessment of their son’s prospects in their world. Clark’s adoptive parents eventually affirm and support his need to explore his history. Clark is able to meet Jor-El. He explains, “I have so many questions.” Jor-El answers his questions. 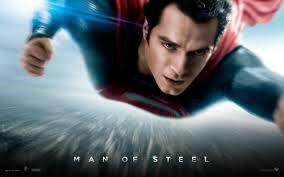 When Clark learns that his home planet has been destroyed, he wonders if he is alone. Jor-El responds, “No; you’re as much a child of Earth now as you are of Krypton. You are the best of both worlds.” Jor-El affirms that the differences between humans and Kryptonians are not necessarily bad. Clark was adopted by a human family; one character observes (albeit cynically) that Clark has also adopted humans. Adoptees are often unable to make an initial choice about their adoption; however, they have an eventual choice to accept or not accept their second culture and family. Jonathan eventually shows Clark the vessel which brought him to earth. It took Jonathan a long time to get over secrecy, but I love his dual affirmation that he is Clark’s father, and that Clark must explore his heritage. Clark: I don’t want to be. Jonathan: I don’t blame you, but you were sent here for a reason. Clark: Can’t I keep pretending I’m your son? Jonathan: You are my son, but you have another father who gave you another name, and he sent you here for a reason, and you owe it to yourself to find out what that reason is. Clark returns home after learning about his Kryptonian heritage, and is greeted by his mother. Clark: I found them, Mom, my parents, my people. I know where I come from now. Martha: It’s nothing. I worried all the time. Clark: You worried the truth would come out? Martha: No. The truth about you is beautiful. We knew that from the moment we laid eyes on you. The primary villain is very concerned about genetics; he himself has been genetically developed to fit his particular assignment in life. He attempts to replace human life on Earth with Kryptonian life, and places Clark in a position of being forced to choose allegiance to one race over another. Clark’s unique traits, derived from his Kryptonian birth, are strengths which he puts to good use, but he suffers because of them. As a grade school student, he hears the gossip of his classmates. He eventually learns how to tune out things he does not want to see or hear. Clark does face quite a bit of pressure; Lara wishes for him to “make a better world.” Jor-El instructs him to “give the people of Earth an ideal to strive for.” Jonathan wants him to keep secrets. Clark struggles to trust humans. One character advises him, “Sometimes you have to take a leap of faith first; the trust part comes later.” This might be helpful encouragement in some situations, but Clark’s leap of faith seems to have been ill-advised. When other Kryptonians arrive at earth, they refer to “Clark” as “the name they gave you,” and only refer to him as “Kal.” Their disregard for his second culture is a plot point. Jonathan strongly believes that Clark must keep his true identity a secret, and even meets a premature death in order to help keep Clark’s secret. Clark continues to hide his identity from most people. One of my concerns with the original Superman movie was that Lara seemed uninvolved in Jor-El’s pseudo-adoption plan for their son. That has been rectified in both Superman II and, now, in this film. 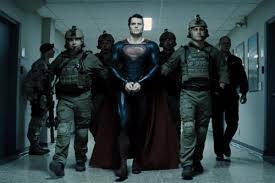 Man of Steel still suffers from the failing of the original movies; Clark still chooses to hide his identity. However, there are positive aspects to the film. 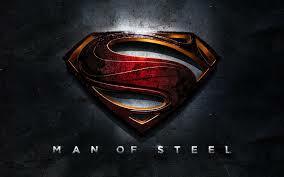 In the original movie, Jor-El cautioned Clark that he couldn’t be both Kryptonian and human. In this version, Jor-El (and, to some extent, Jonathan) both affirm that Clark can be part of both worlds. There are meaningful conversations between Clark, Martha, and both of his fathers. The fight scenes in the film are a bit over-the-top (and even repetitive), but that will probably play well with a pre-teen and teenage audience. It’s worth a look.